We’ve all been there… WooPanic! What do I need to do? What on earth is happening? Is my website going to break? First of all, relax 🙂 Not much to worry about. 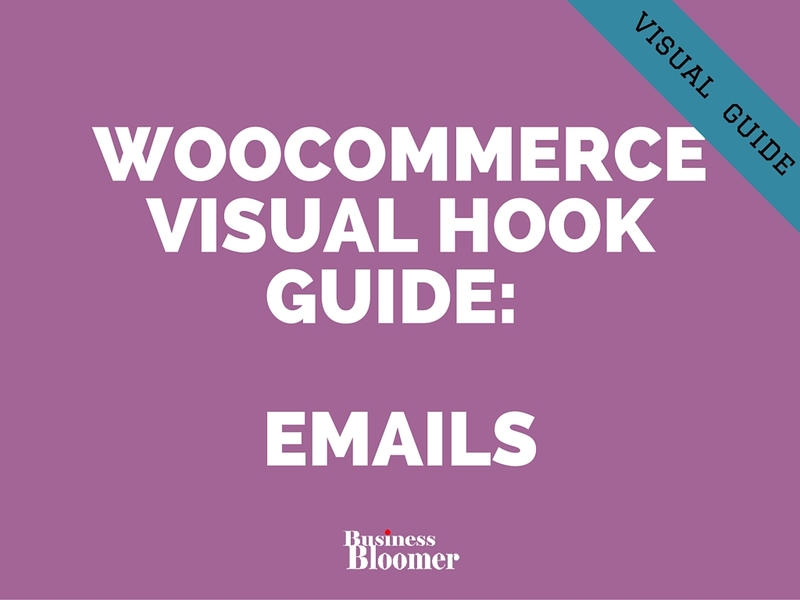 Here’s a visual HTML hook guide for the WooCommerce Emails. 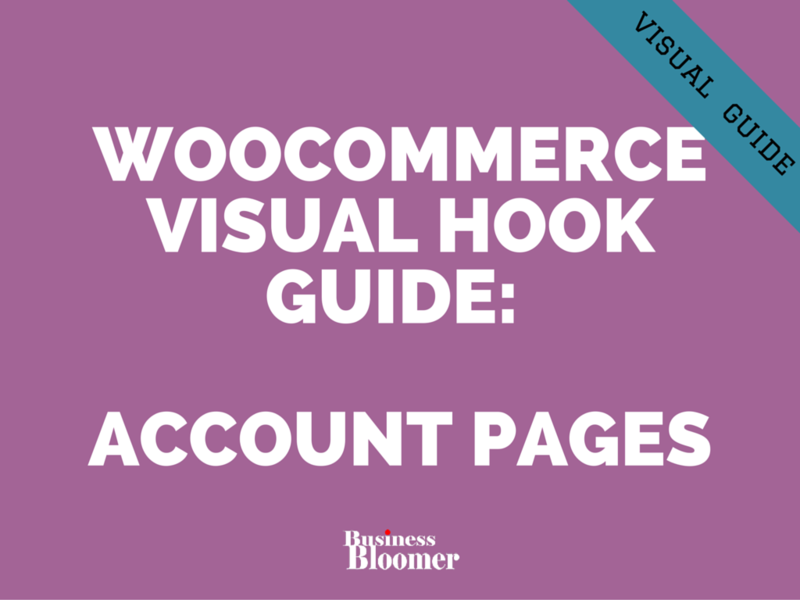 This visual guide belongs to my “Visual Hook Guide Series“, that I’ve put together so that you can find WooCommerce hooks quickly and easily by seeing their actual locations. Let me know in the comments if this resource it’s helpful and how! Also, if you’re eager to learn how to use this guide, how to customize emails AND how to make sure your customization only affects one email type (e.g. only the Customer Processing email), take a look at this free video lesson. 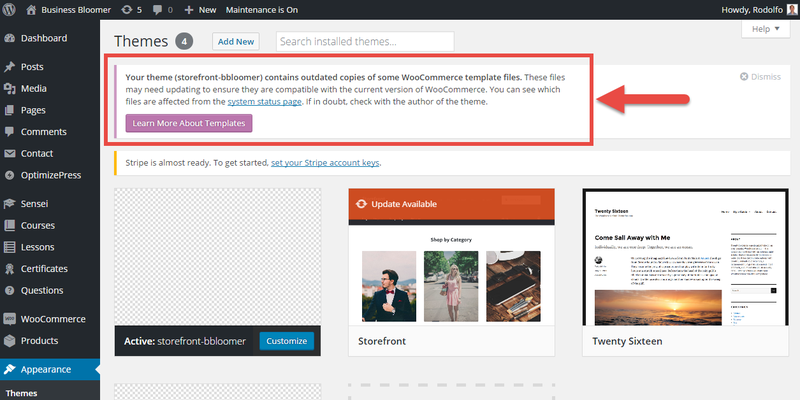 Today’s snippet has been widely requested by many readers, clients and WooCommerce fans. 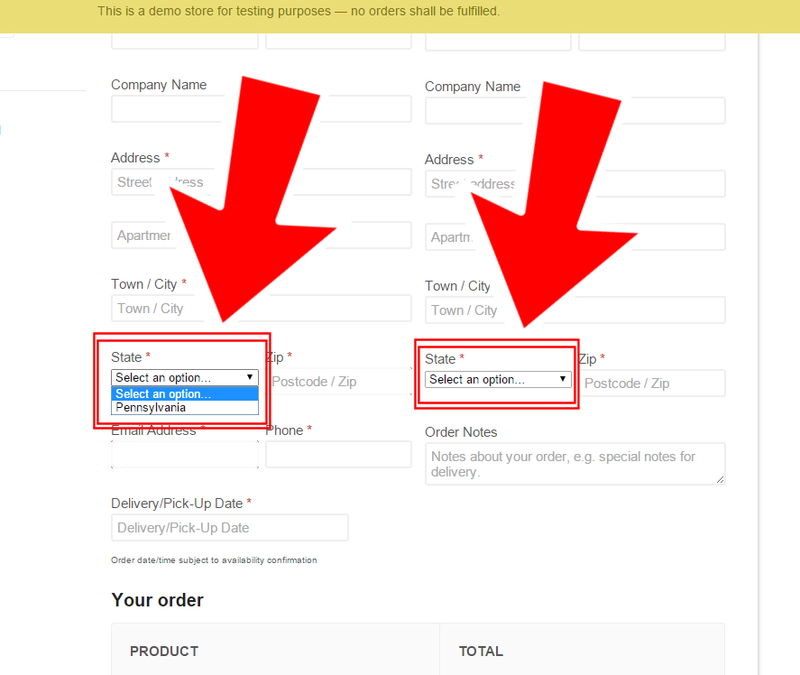 We already saw in the past how to Limit State Dropdowns to One State Only (for both Shipping & Billing) and How to Sell to one State only (Billing). However, we never covered a much more common setting: what happens when Billing is allowed to every state but Shipping is limited? 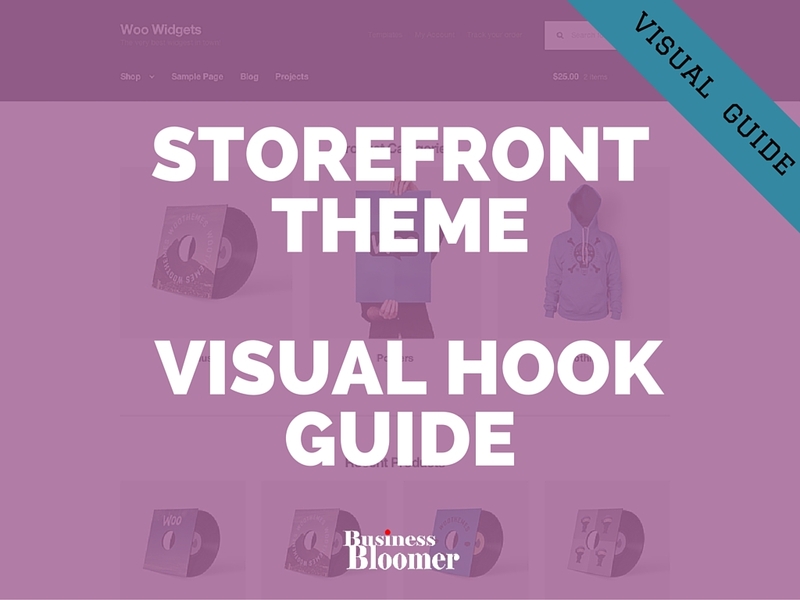 Here’s a visual hook guide for Storefront Theme by WooCommerce. This visual guide belongs to my “Visual Hook Guide Series“, that I’ve put together so that you can find WooCommerce hooks quickly and easily by seeing their actual locations. Also, you can copy & paste in seconds and speed up your customization time. Let me know in the comments what you think about this resource! Enjoy! 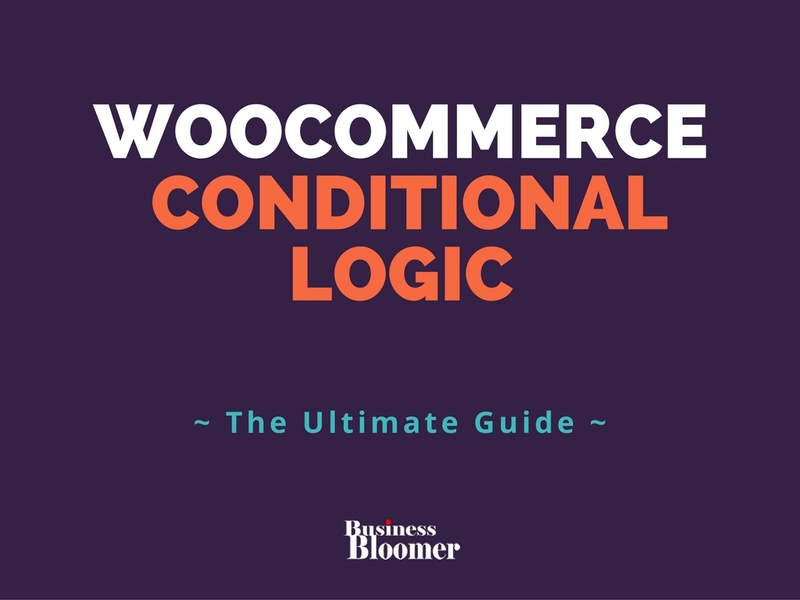 In this episode, I’ve created a visual HTML hook guide for the WooCommerce Account Pages (there are multiple pages such as the My Account as logged in user, My Account as logged out, etc). This visual guide belongs to my “Visual Hook Guide Series“, that I’ve put together so that you can find WooCommerce hooks quickly and easily by seeing their actual locations – and you can also copy & paste in seconds unlike other “hook sniffer plugins” out there. Let me know in the comments what you think about this resource! 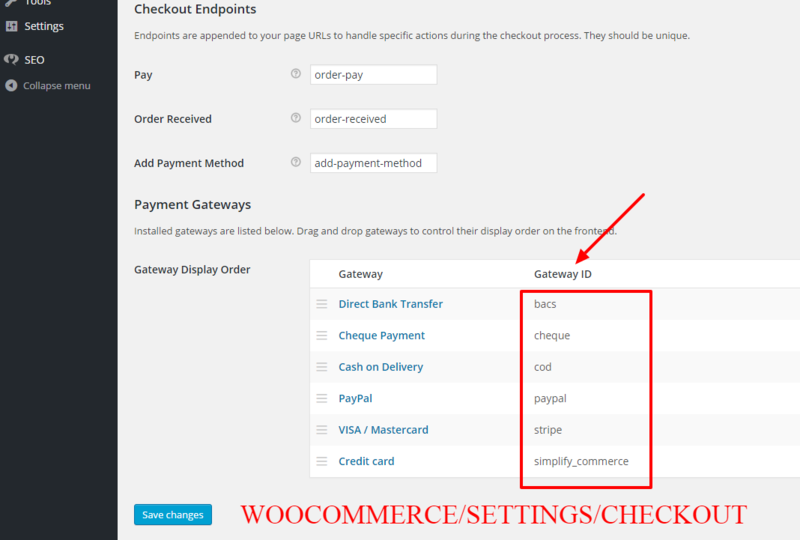 Today we take a look at the WooCommerce Checkout and specifically at how to disable a payment gateway (e.g. PayPal) if certain product categories are in the cart. Hey Woo Developers. 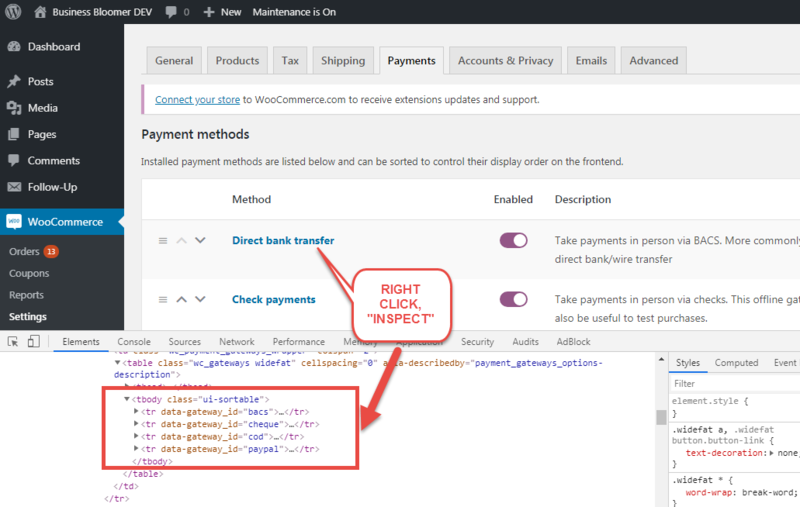 I’ve created a visual HTML hook guide for the WooCommerce Checkout Page. This visual guide belongs to my “Visual Hook Guide Series“, that I’ve put together so that you can find WooCommerce hooks quickly and easily by seeing their actual locations – and you can also easily copy & paste. Enjoy! 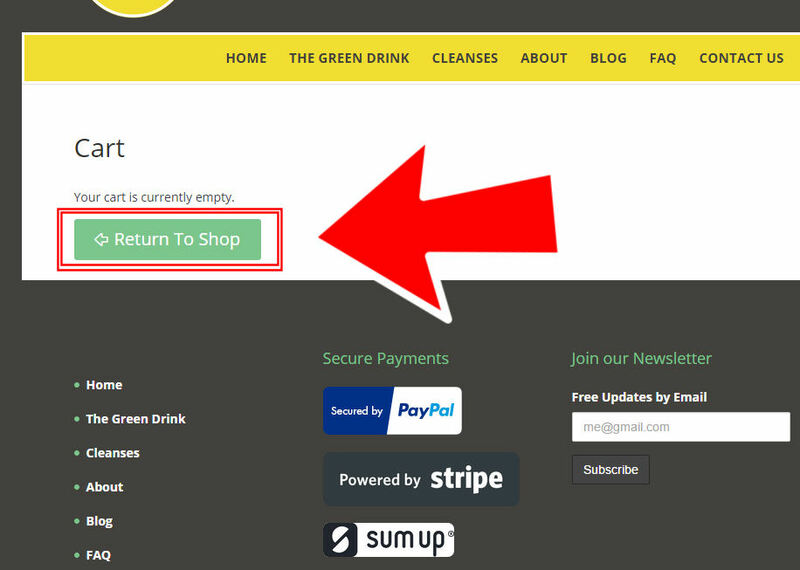 This simple snippet will make sure you can send users back to a custom page as opposed to the shop page when the Cart is empty. In this particular project, client had no shop page so we wanted to send users back to the homepage instead. 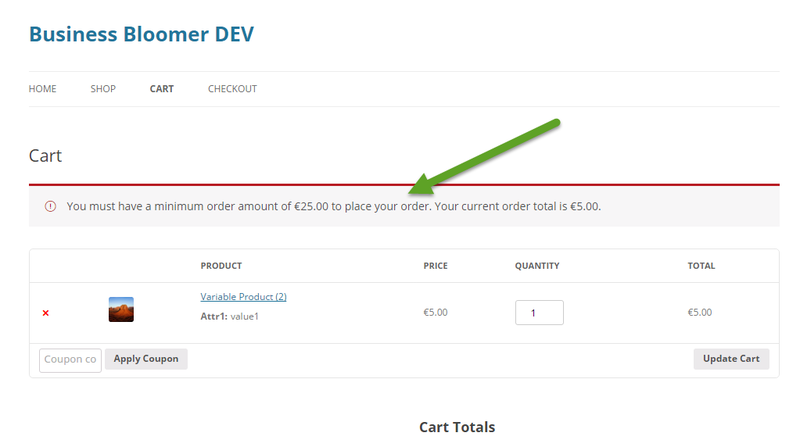 As usual, it’s a couple of lines of PHP, without the need to override templates or even worse to edit core WooCommerce. Enjoy! 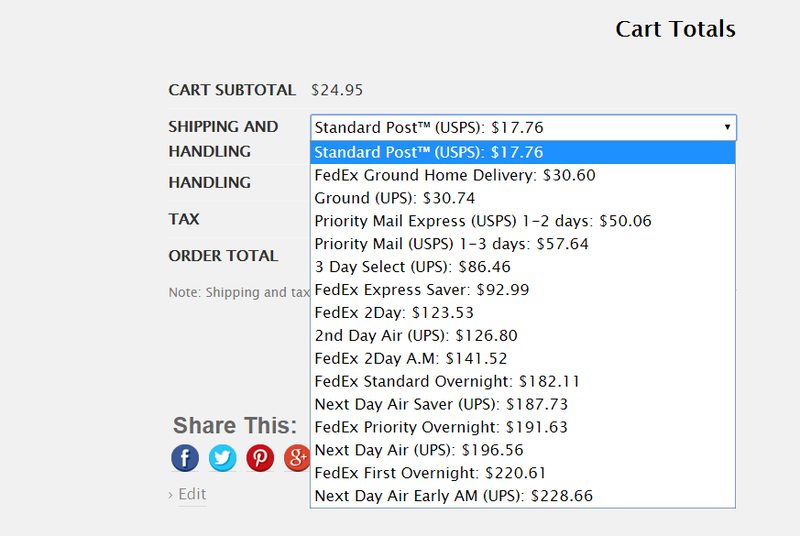 If Free Shipping is available, you possibly don’t want to show the other paid shipping options. 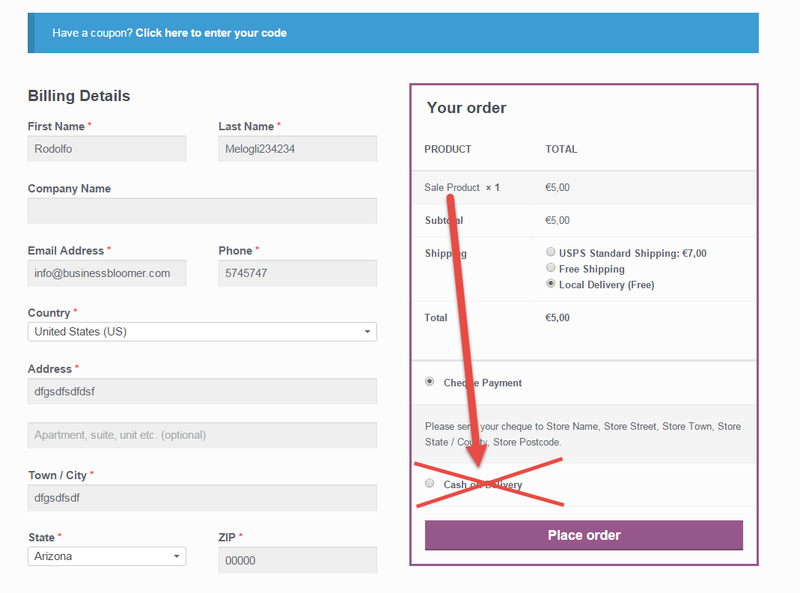 WooCommerce shows by default all shipping rates that match a given shipping zone, so it is not possible to achieve this from the settings alone. 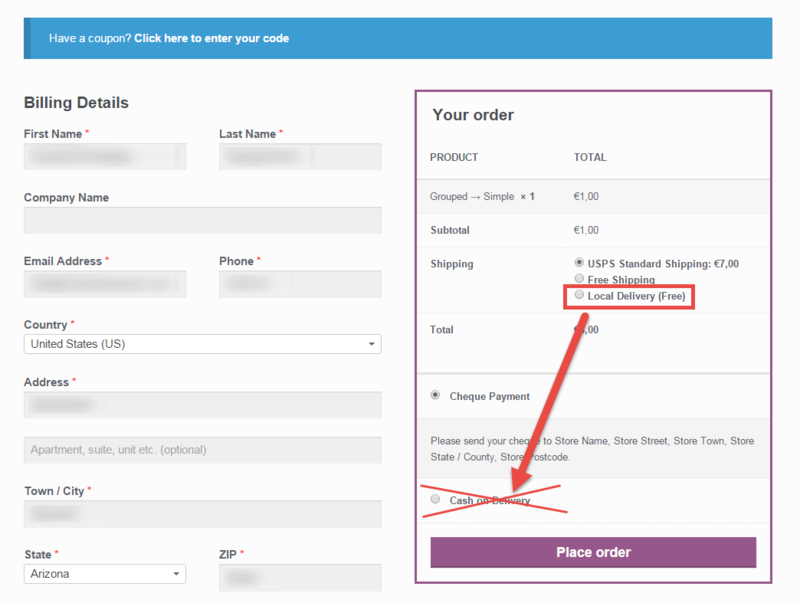 You might want to disable PayPal for non-local customers or enable a specific gateway for only one country… Either way, this is a very common requirement for all of those who trade internationally. Here’s a simple snippet you can further customize to achieve your objective. 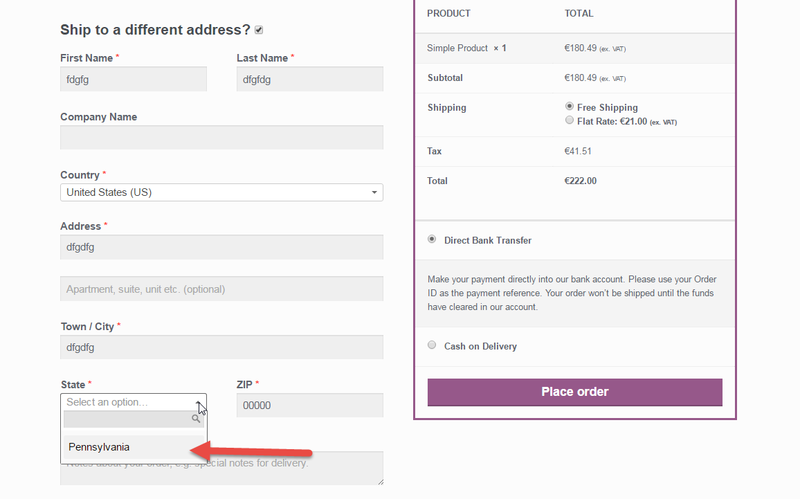 Simply pick the payment gateway “slug” you want to disable/enable (“paypal”, “authorize”, “stripe”, etc.) and the country code (US, ES, IE, etc.) and then apply your conditional rules in the plugin below.